The Mission of this USCA committee is to oversee the development and guidance of the game of 9-wicket croquet as it pertains to its members and clubs of the USCA. We respect the historical perspective of the game, the simplicity of its rules, and the fact that it is more assessible to folks with a standard lawn. It can be a game of serious endeavor requiring precise shot making skills and advanced tactics. Whereas the USCA 6-wicket game has separate committees to oversee the various areas of its administration, i.e. rules, equipment standards, referee development and administration, teaching and coaching, tournament administration, and team selections, the USCA 9-wicket committee takes on the responsibility of deciding what is appropriate and correct for this game. We strive to promote the game that has been played for over 100 years as it continues to advance to use better equipment and more precisely defined rules. We wish to connect players that have known the backyard game to players that enjoy all the games the USCA supports: Egyptian Golf Croquet, Association 6-wicket and American 6-wicket. We believe that the USCA is an association of its individual members and clubs and we hope we can connect all of us together in a friendly game of croquet. As we develop we hope to provide educational assistance, historical perspective, rule clarifications, tournament help, event planning, equipment suppliers and member services. 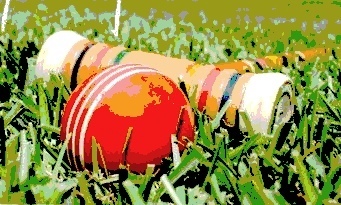 This website is designed to help you find the information you need to get started playing the game of 9-wicket croquet. Through your help we want to gather your ideas, how to contact you, and how best to serve your needs. Please help us by participating and by sharing your observations.